Mandir would rather wrestle a lion with his bare hands than confront the dark secrets of his past. 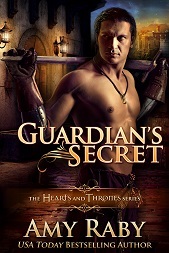 He’s a quradum, one of the Coalition’s magic-using warriors, and when the Coalition elders send him to his childhood home to recruit a boy with magical abilities, Mandir must face his sadistic father and the family he hoped never to see again. Taya, his partner and lover, arranges to join him on the mission, knowing that Mandir will need the support of a companion he trusts. But when someone in the household is murdered and Mandir finds himself the prime suspect, Taya will need all her wits, not to mention her fire magic, in order to clear his name. 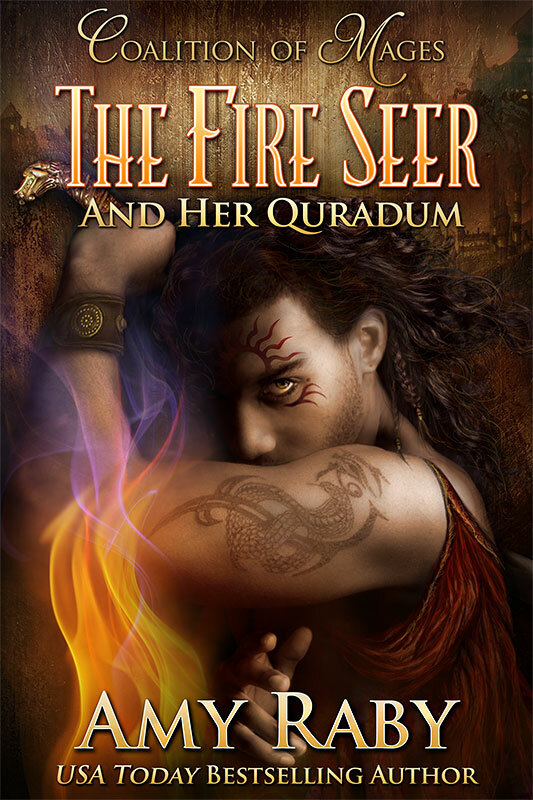 I have just finished reading “Fire Seer… Her Quradum”. Your characters are well defined. They become more rounded after each book. Unlike many romance novels, yours actually have engaging (dare I say interesting even exciting) plots. They are great pleasures to read. So, when do we get the third? Fourth? Fifth?? I have just finished reading “Fire Seer… Her Quradum”. I found your characters well defined and fleshed. They became more rounded after each book. I actually cared about them as people (albeit fictional ones). I rejoiced at Mandir’s ability to put his past behind him and begin his new path into the future, with Taya of course. She too has grown; into her power, and into her own. She is becoming great, strong, and self assured. She has faced, and overcome her “demons”. Kudos! I was also pleasantly surprised by the fact that unlike many romance novels, the Fire Seers actually have engaging, well thought plots. They are exciting, mysterious, and fun to read. So, when do we get the third? The fourth? The fifth? The world of Taya and Mandir is rich with possibilities and new mysteries to solve. I miss them! Thanks so much! I am working on the third book now. I’m about 2/3 of the way through it and expect to release it sometime this summer! Too find your Fire Seer… Characters engaging, interesting, and well rounded. There are really well thought out plots as well. Both “Fireseer” and “Fireseer… her Quradum” are both multilayered and complicated, like life. They are not only romances, but good mysteries as well. Still waiting for book three, it’s winter of 2017, waiting since summer 2016. 😕 Any eta? Thanks very much! I know it’s been a long wait for book 3. It’s mostly written–just a few chapters to go, plus editing. I plan to release it sometime this year, hopefully before summer.